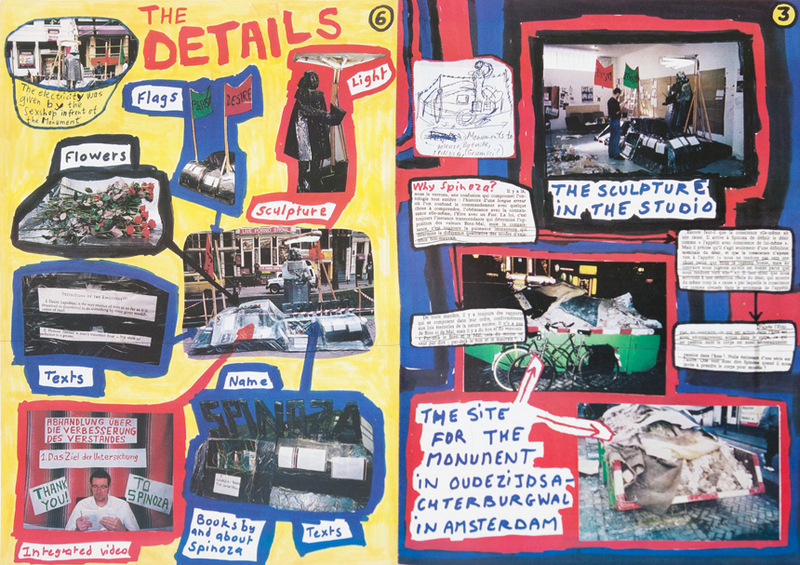 Thomas Hirschhorn, born 1957 in Bern, Switzerland, has been working in Paris since 1954. 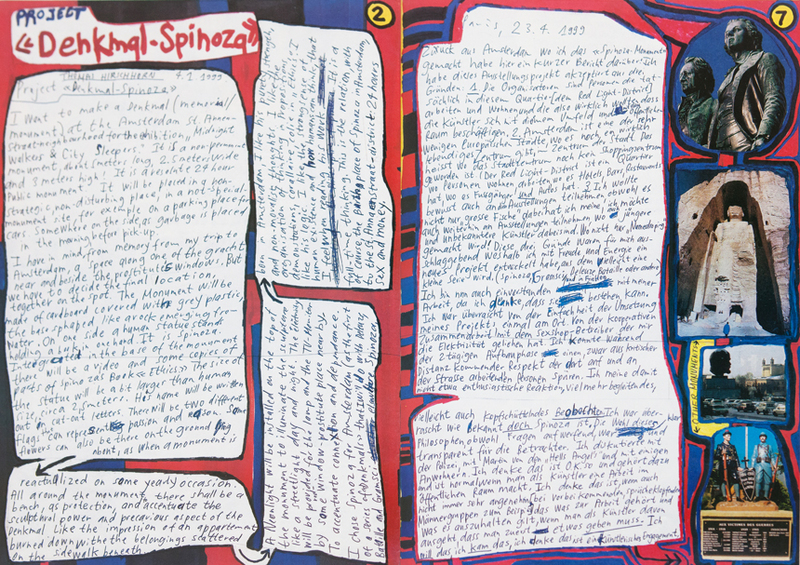 The Spinoza Monument (a document) is his contribution to Point d'ironie. 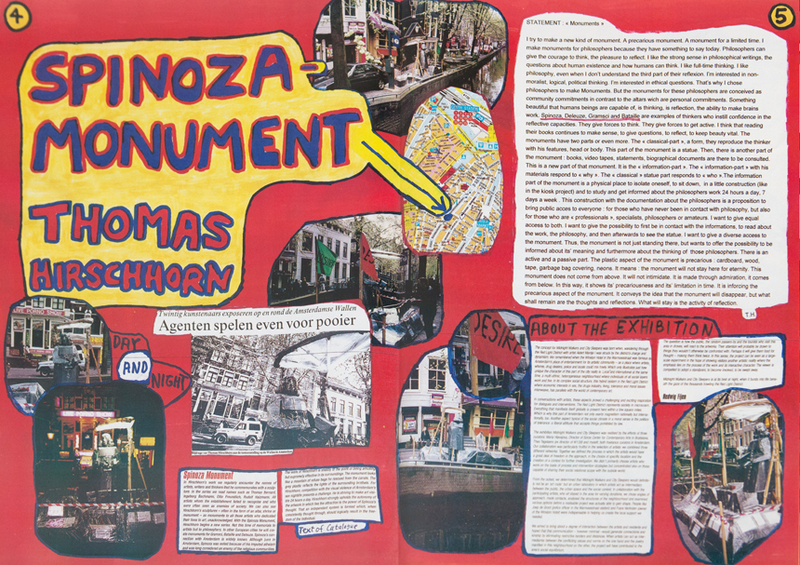 It is a layout of texts and photographs documenting the public space projet, Spinoza Monument. 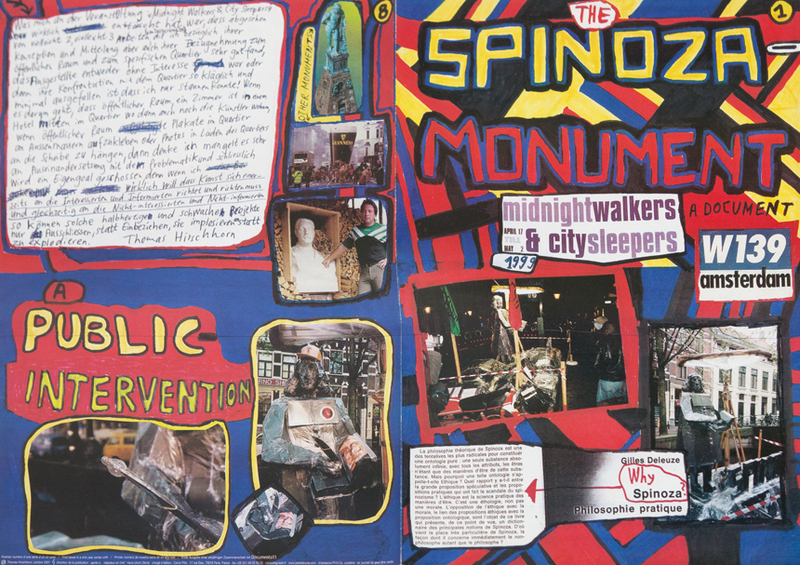 The monument is the first in a series of four: Spinoza Monument; Delouse Monument, Bataille Monument, and Gramsci Monument. Point d'ironie is used as a tool to enlarge and continue the visibility of a local and punctual project. This issue of Point d'ironie, with 300,000 copies distributed free of charge around the world, is the first in a one year series with Documenta11.